← “Jade’s Jewel” Street Painting at NE 61st and Tillamook this weekend! We have a great General Meeting planned for next week, including a visit from Representative Barbara Smith Warner. 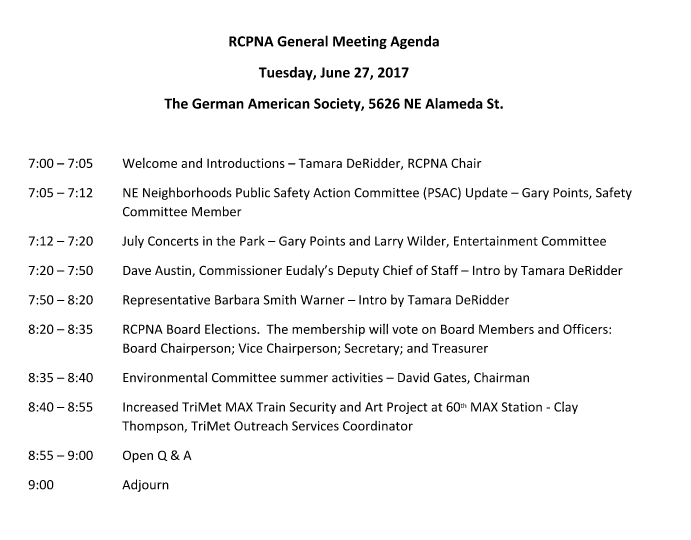 Come join us on Tuesday, June 27, 7-9 pm, at the German American Society, 5626 NE Alameda St.
All neighbors are most welcomed.